Obituary Notice for Doris "Doty" (Ogden) LeBlanc | Pepper Funeral Homes & Cremation Facility, Inc.
Doris M. “Doty” LeBlanc, 99, formerly of Blossburg, PA passed away, June 1, 2018 at Broad Acres in Wellsboro. Born in Blossburg March 15, 1919 she was a daughter of the late Clarence and Elnora (Bergquist) Ogden. She was the wife of the late Octave “Frenchy” LeBlanc. Doris was the oldest member of the First United Methodist Church of Blossburg. After raising her family, she was employed by Watts Dry Cleaners and the Ben Franklin until retirement. Doris was an excellent seamstress and talented in all kinds of needlework. She also enjoyed word, number and jigsaw puzzles. Surviving are daughters; Roberta (Foster) Marvin and Rebecca Fultz, step-sons, Winfred and Donald LeBlanc, four granddaughters, six great grandchildren, several step-grandchildren, step-great grandchildren, nieces and nephews. 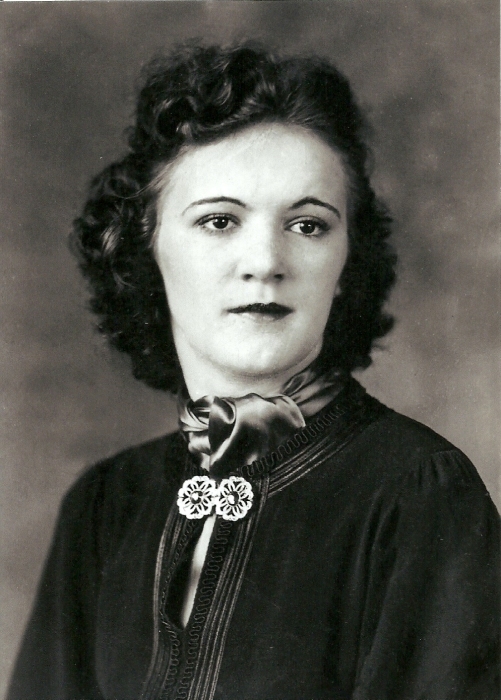 In addition to her husband, she was predeceased by her son, Larry LeBlanc, step-son, Rodrey LeBlanc, siblings; Gladys Hetherton, Gertrude Bailey, Hazel Skullney, Kenneth, Gordon and Donald Ogden. The family will receive friends 1 to 2 p.m. Friday, June, 8th at Pepper Funeral Home & Cremation Facility, 314 Granger St., Blossburg, with Mrs. LeBlanc’s pastor, Michele Somerville officiating at 2 p.m. Burial will be held in Arbon Cemetery, Blossburg. Those who wish may make a donation in Doris’ memory to First United Methodist Church,108 N. Williamson Rd. Blossburg, Pa. 16912.